Located in Arlington Texas, Arlington Independent School District (AISD) is the 11th-largest school district in the state of Texas. The district is responsible for overseeing 12 Senior High Schools, 10 Junior High Schools and 52 Elementary Schools. AISD has a population of more than 61,000 students each year and is also the largest employer in the city with a staff of approximately 8,500. 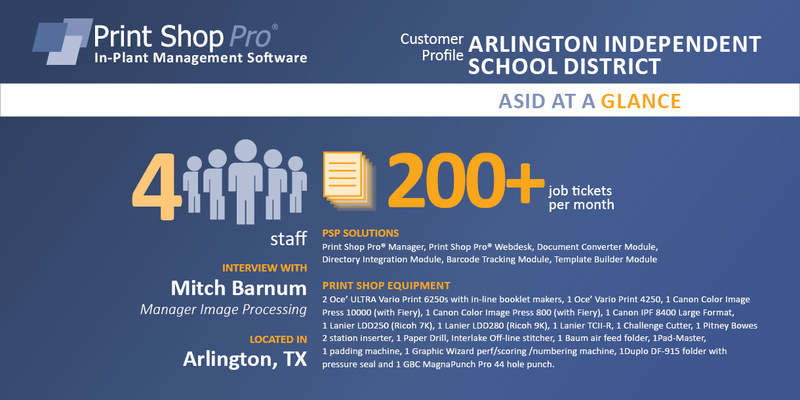 AISD has been a Print Shop Pro® (PSP) User since February 2017 and was one of the fastest system implementations. 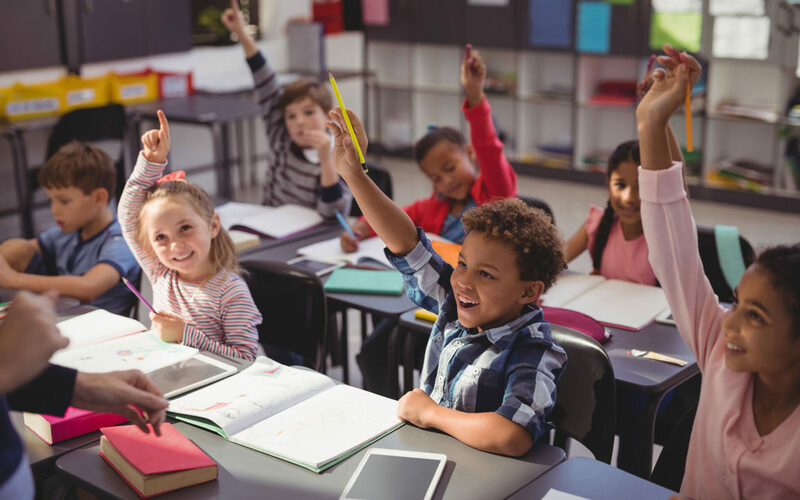 After having the system configured and successfully completing training, AISD was able to accomplish having 90% of the district’s customers submitting orders online through PSP in less than 30 days. I met with Mitch Barnum, Manager of Image Processing at AISD to learn more about the district’s print operation and to understand how this was accomplished in such a quick turn around. Mitch began his career as a technician. He shared, “I serviced copiers for 12 years and later transitioned to a management role where for many years I was in technical service management and oversaw a team of technicians.” Mitch also worked for Xerox Business services (XBS) for 10 years, where he would set up print shops and mail delivery shops for customers at their sites. “We were manually tracking all jobs because there wasn’t a way to do that in the old system. Customers would also have to email their request if there was an attachment because there wasn’t a way to upload an attachment in TEAMS. There was also no automated notification to our print shop once a customer submitted an order. Jobs would sit in TEAMS unless someone checked or a customer called inquiring about the status of their job,” said Mitch.